Expressive Anatomy for Comics and Narrative. Buy at Amazon. The final volume of Will Eisner's celebrated instructional trilogy that includes Comics and Sequential Art and Graphic Storytelling and Visual Narrative, this edition explores the critical principle of body grammar in comics storytelling. 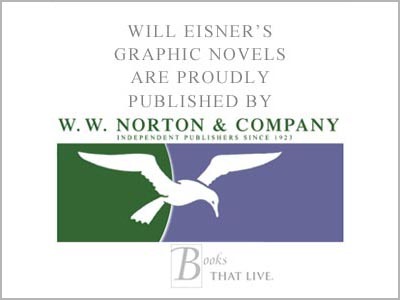 Designed and outlined by Will Eisner before his death in 2005, this posthumous masterwork finally reveals the secrets of Eisner's own techniques and theories of movement, body mechanics, facial expressions, and posture: the key components of graphic storytelling. From his earliest comics, including the celebrated Spirit, to his pioneering graphic novels, Eisner understood that the proper use of anatomy is crucial to effective storytelling. His control over the mechanical and intuitive skills necessary for its application set him apart among comics artists, and his principles of body grammar have proven invaluable to legions of students in overcoming what is perhaps the most challenging aspect of creating comics. 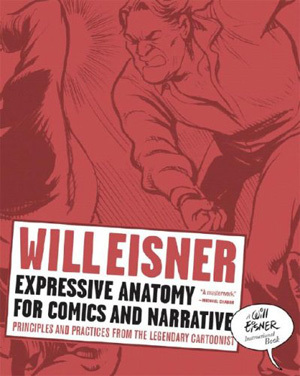 Buttressed by dozens of illustrations, which display Eisner's mastery of expression, both subtle and overt, Expressive Anatomy for Comics and Narrative will benefit comics fans, students, and teachers and is destined to become the essential primer on the craft.